Anywho, here are a few snack size reviews I wanted to share... Enjoy! 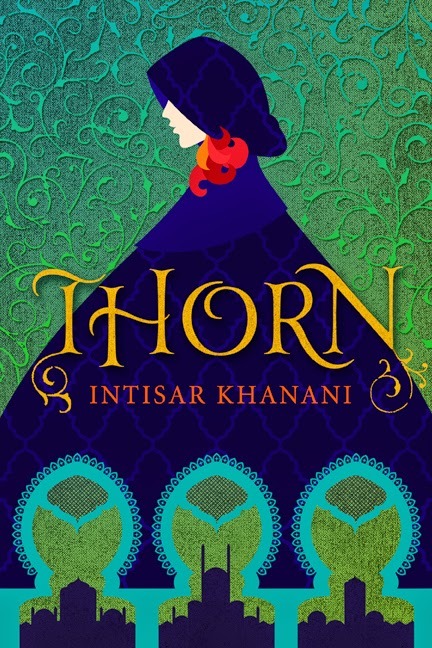 Thorn is a dark fairy tale that boldly addresses the evils of humanity while pinpointing the beautiful light of friendships, mercy, bravery, and love like stars in the night. The injustices and bouts of violence might leave you sick—and this read is probably not for everyone—but the moments of grace are exquisite, and the unflinching look at justice vs. revenge is thought-provoking. The heroine is both relatably imperfect and fearful, yet admirably kind, adaptable, and strong. The setting is so vivid as to be nearly tangible. And the romance is subtle, yet it's sweetness is pervasive. I didn't necessarily love every aspect of the plot, but the story as a whole swept me away. 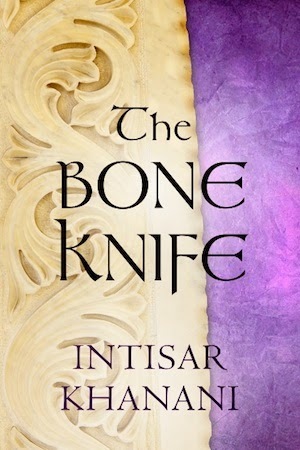 The Bone Knife is a follow-up short story that remains in the world of Thorn while establishing the beginning of a new series. The shorter length keeps the suspense and action to a minimum, but the endearing family dynamics completely won me over, and the creativity in the magical aspects as well as the symbolism of the title rounded out the reading experience in a positive way. 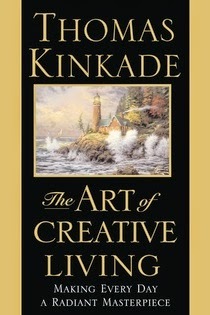 This book was recommended to me by a fellow blogger and friend (thank you, Rachelle Rea! ), and I'm so grateful I decided to read it. The timing could not have been more perfect, as I'm settling into a new job and navigating the ins and outs of living on my own for the first time. And who knew a book on taking control of your financial situation could actually be enjoyable to read? Rocha's writing style flows effortlessly, her examples are understandable and real, and her advice completely resonated with me. 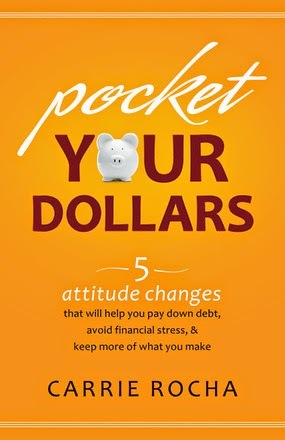 There are some practical tips at the end, but most of the book is about learning how to change your attitudes about money—and the great part is, some of the skills she describes for changing those attitudes can also apply to other areas of life. Pocket Your Dollars is inspiring, encouraging, and extremely handy. I feel more confident and positive about my financial future, and that sort of reading outcome is invaluable! Note: Thanks to Juju of Tales of Whimsy for the inspiration regarding mini reviews! I'm honored to have been tagged for this writer-ly blog tour! Writers all over the blogosphere have been sharing about their unique approaches to the writing process, and today I'm posting about mine. But first, thank you to Allison Duke from Allie on Life for including me in this! I "met" Allison (@PinkDreamInk) through some fun #1k1hr sprints and #WritersRoad chats on Twitter. :) You can check out her heartfelt post for this tour HERE. Felicity Lute's family is on the run from scandal and sorrow, but their "vacation" isn't bringing Felicity and her sister Helen together the way it should. Hope—or at least distraction—comes in the form of Myghal Tamblyn, a Cornish man wandering the West. When he joins them on their journey to Crater Lake, Felicity begins to believe her heart and her dreams will heal. Just as long as she and her two sisters can keep their secrets hidden. Myghal has fallen in love—and been forced to let go of love—twice. He's intrigued by the flirtatious and flamboyant Felicity, but he's also wary of the obvious tension in her family, despite their welcome. An adventure with new friends might be just what his lonely heart needs, or it could be the path to a third and final heartbreak. When tragedy plunges Felicity and Myghal into the very depths of their fears, will they find the strength they need to rise again? My goal is to have it be around the same length as Forget Me Not, or between the length of Forget Me Not and Bleeding Heart. So...about 40- to 45,000 words, maybe? I call 40K and up a "novel," but some might consider it a novella. ;) I'm currently about 24K words in. What I really want to focus on after Morning Glory is How a Star Falls, an NA (new adult) contemporary romance. Right now I'm thinking it will be a novella, as my stories tend to run on the shorter end of the word-count spectrum, but a lot is still up in the air. The one thing that's pretty settled, though, is the awesome cover, designed by (you guessed it!) Lena Goldfinch of Stone Lily Design. Interested in helping to reveal the cover early next month? You can sign up at the Seasons of a Story Publishing site! Besides being short? Haha. Well, my work focuses on emotional journeys, so far paralleled by literal journeys my characters also take. I believe my stories are more atmospheric, setting poignant moods and describing the landscapes in such a way as to enhance that. I love nature and I love this western side of the U.S., and I think that shows in my writing. I write inspirational because it's who I am, what I believe. I want to impart hope - authentic hope, the kind that lasts even through the storms, the pain, the sorrow, the heartbreak of this life. I write historical because stories of the past fascinate me, and the challenges and wild beauty of the West intrigue me. Even when I try my hand at contemporary, I hope to continue to convey my passion for the wonderful places I've lived and visited here on the West Coast. I write romance because I'm an utter romantic at heart. I grew up watching movies and series like Anne of Green Gables and Road to Avonlea with my grandparents and uncle, and reading Christian romance books (starting in elementary school). I adore stories about love surviving and thriving in all sorts of situations and places. To be honest, I haven't completely figured out an actual, lasting method. In a vague sense, my writing process involves daydreaming, music, and the occasional bursts of productivity. I latch onto an idea and ruminate on it at different times, writing down thoughts and any research tidbits I learn in little notebooks. I've started compiling "soundtracks" for my books, and listening to the music or singing the lyrics can help me delve deeper into the emotions of my characters. As far as the stories actually making their way onto paper, well, that happens in fits and starts, when I'm feeling the inspiration or the pressure. Doing writing "sprints" with fellow author friends on Twitter has really been a huge help in motivating me to actually write! Jaye L. Knight is a homeschool graduated indie author with a passion for writing Christian fantasy and clean New Adult fiction. Armed with an active imagination and love for adventure, Jaye weaves stories of truth, faith, and courage with the message that even in the deepest darkness, God's love shines as a light to offer hope. 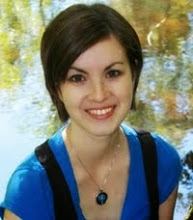 She has been penning stories since the age of eight and resides in the Northwoods of Wisconsin. Visit Jaye at www.jayelknight.blogspot.com. Meghan Gorecki is a twenty-something living a hundred or so miles from Gettysburg and a hundred or so years from the history that beckons her. So she goes there and elsewhere in heart, and on pages, to fulfill the calling of writer her Lord and Savior has placed on her heart. 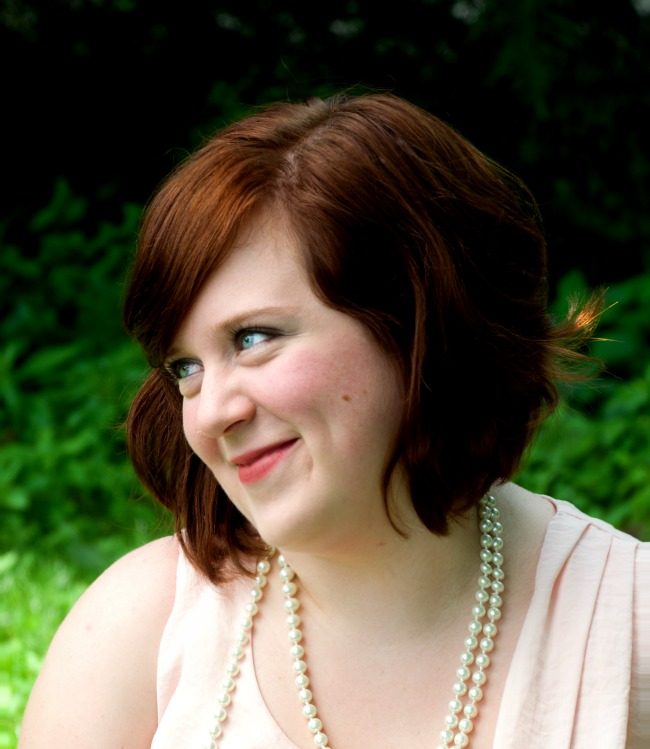 Learn more about Meghan and check out her newly redesigned blog (A Northern Belle) at www.justasiam-meghan.com. I should have some more blog reviews for you all soon, as I'm participating in some August blog tours, and apparently I can't seem to stop reading when I should be writing...but I digress. I'm also participating in the Writing Process Blog Tour that's been making the rounds, so be looking for that post on Monday! Anyway, I saw that Kara of Flowers of Quiet Happiness decided to do a retake of the book-themed Mad Libs post from last fall, so I thought I'd do the same, because it's just so fun! Here's the link to the last one I did: Fun with Filling in the Blanks. Here's the link to Kara's latest post: Mad Libs with Books :: Second Edition. And here's the link to the original outline from Books and Movies: Bookish Mad Libs. Any of these titles familiar to you? How would you fill in the blanks? You've gotta love a contemporary romance that's a happy blend of fluffy and substance. The Husband Maker is fun, with some sweet date scenes as well as some angst/drama. Yet it also addresses the more serious side of relationships - both friendships and romances. And I really enjoyed it! The writing is very engaging, and the main characters are great. The inclusion of family made the story both more realistic and more endearing. As for the story itself...I liked following Charlotte's dating journey, learning how she navigates romances and how she deals with difficult circumstances. While this is very much a story about love, it's also a story about identity, and I respect the characters and author for that emphasis. This is the first book in a series, so the ending exists but certainly leaves room for a whole new story (or two) to take place. Perhaps the conclusion isn't as satisfying as some romances, but because of the theme, it fits, and it leaves the reader with some thoughts to ponder/inspire. For a sweet contemporary romance that has a bit of a ordinary-girl-becomes-princess sort of vibe (no princesses, though...sorry! ), as well as some depth amid the darling, The Husband Maker is a great start to a new series. I'm discovering that living on your own involves a lot of trial and error. Broke a knick-knack? Oh yeah, I've got super glue in my junk drawer! Hmmm, doesn't it harden right away? Since some is leaking out of the tube, I can just pick it off and throw it in the trash. Nope, that stuff is definitely still wet and sticky. Made some popcorn on the stove (go me!). It's sort of burnt, but a little bit of melted butter should help. Hmmm, I don't really have super small bowls, but I could use this metal measuring cup, right? Stop the microwave! If that electrical spark is any indication, that probably wasn't one of my brighter moments. Yeah, some of these things I should have remembered or known from my previous twenty-three years of life. Honestly, I'm kind of scared to find out what other sort of silly (but important) things I've forgotten or never really thought about, LOL. In all the stress of settling into a new place, working in a more-structured schedule, and figuring out how to do all the big and little things I need to do to get by, I've found a "sweet serenity" and cheer in my books. 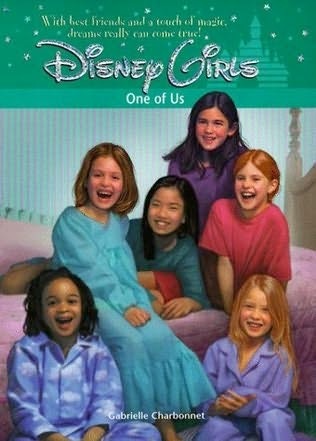 One of my very favorite series when I was in elementary school was the "Disney Girls" series. I confess that I was only-so-slightly (or maybe a lot) obsessed. 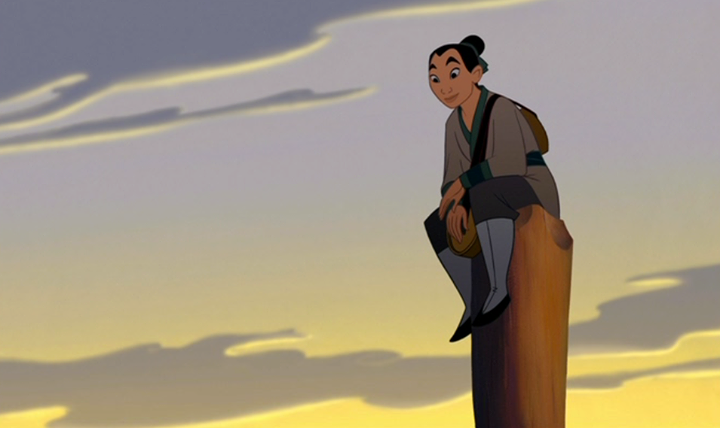 I loved the thought of being a Disney princess, and I loved the way the author brought a touch of that magic to the lives of everyday girls. From martial arts classes, to making a gingerbread "castle" for school, to going on a trip to Disney World, I adored following the group's adventures. I'm thinking that I'd like to re-read the rest of the series sometime...maybe sooner rather than later! So cute, and I just love all the adventures they have and how the stories of the princesses they love reflect in their lives. 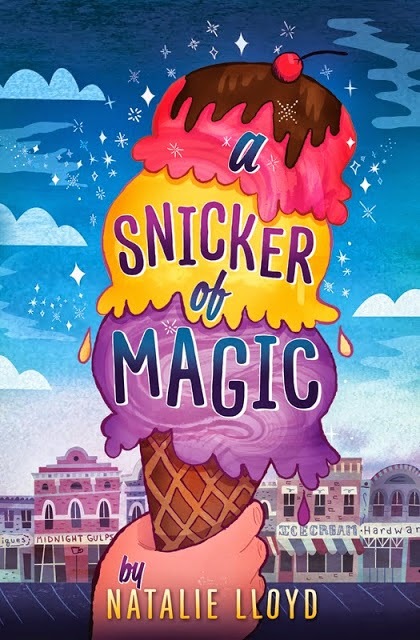 Huge S/O to Kara from Flowers of Quiet Happiness for introducing me to my new lunch companion, A Snicker of Magic! She convinced me that this is a book well worth reading, and from what I can tell so far, she is so right. I started this on my birthday back in June, but I'm only now getting farther into it. I decided to pull it up on my Kindle one lunch at work. Let me tell you, I'm in love. The simple but profound ideas shared in such creative ways... The cutest characters and display of magical realism... And the way words are woven together to present such warm and cozy and beautiful word pictures... It's really quite the fun read! Revisiting old book friends and making new ones brings this quote home for me. 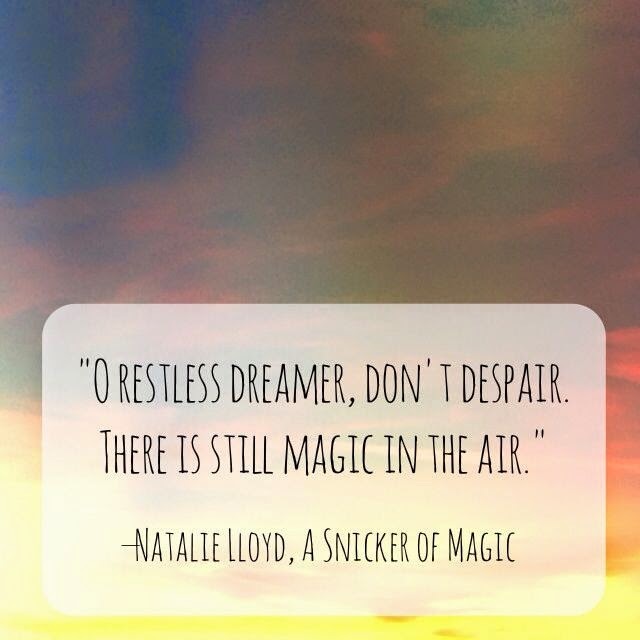 Yes, there is still magic in the air! I'm so grateful for the precious gifts of imagination, creativity, and words. What books - old or new - have reminded you lately that "there is still magic in the air" or provided you with some much-needed serenity? "A courageous young noblewoman risks her life to hide French resistance fighters; seventy years later, her granddaughter visits the family’s abandoned chateau and uncovers shocking secrets from the past. With emotion and intrigue, Melanie Dobson brings World War II France to life in this beautiful novel about war, family, sacrifice, and the secrets of the past." 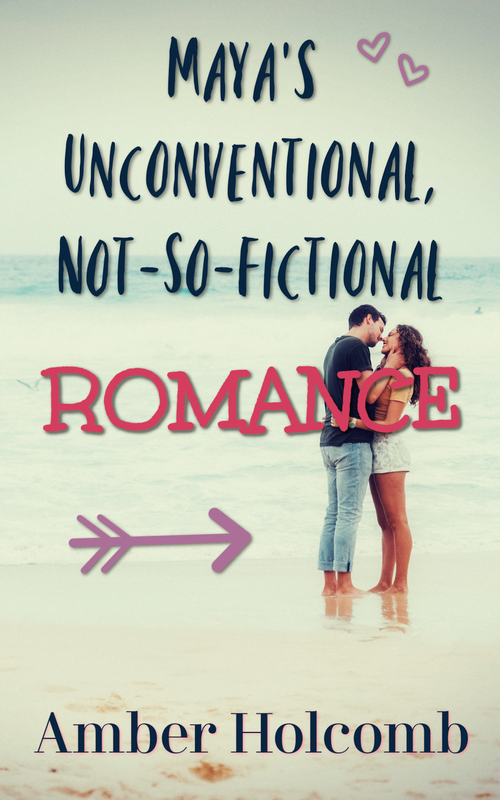 With my preference for a good dose of sweet romance in a book, it's a sign of wonderful writing when a story can engage me despite the fact that the romance doesn't really kick in for a while. Not to worry - it's certainly there in Melanie Dobson's latest, fellow romance fans! In fact, it comes in a double dose, but perhaps isn't as prevalent due to all the intriguing and devastating history and situations that rightly consume the characters' (and reader's) attention. The first chapters introduce us to relatable heroines while setting them up for difficult times, and I was caught up in all of the uncertainty and dilemmas and danger. In the end, it's hard to say which story line interested me more: the historical (WWII) or the contemporary. Both had me curious for their own reasons. While I'm a big fan of historical fiction, I really liked reading the contemporary plot. I think the first-person POV, as well as Chloe's internal battles regarding her future and the fact that it's in my own time, made me feel more invested in her story. I just wished for more...not necessarily in terms of word count, but just more depth to the latter portion of her scenes and relationships. I wouldn't have minded a bit more emphasis on the developing romance in this section. But the focal point seemed to be the past and how it reached into the present, and overall, I really was pleased with how things turned out. As for the historical line, the third-person POV - in contrast to the first-person for the contemporary - created a bit more of a disconnect. That's not necessarily such a bad thing, though, as the different tenses help in making the voices of the alternating settings and scenes clear. I really appreciated the honesty in the characters' struggles as they tried to live out their faith in a time where its application seemed hazy and they didn't always know the best thing to do. 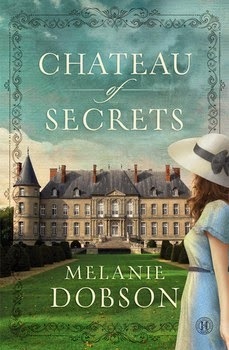 Chateau of Secrets harbors mystery, a tangle of secrets both past and present, and characters seeking light in painful and all-too-real situations. Dobson writes with skill, understanding, and heart, and I'm quite impressed by this bold offering. Seasons of a Story Publishing Site is Live! It is with great joy that I present to you the brand-new site for Seasons of a Story Publishing! A few months back I saw that Debz of Debz Bookshelf was offering free blog designs. At the time I was considering expanding my freelance business, focusing more on publicity campaigns. I thought I'd take advantage of Debz's super generous offer and work on a blog specifically for my blog tours and cover reveals, called (quite cleverly, of course) Editing Through the Seasons Book Tours. I knew I'd have to put the blog plans on hold while going through the interview process for the job, and Debz was kind enough to set the project aside and put up with all my life updates. It wasn't until the last couple of weeks that we were both able to finally pursue the project again. I had already decided that if the book-tours blog didn't work, I'd want to focus the site on my indie publishing ventures - to have a home base for all my books (including projects in new genres). Debz was a delightful collaboration partner. She captured my vision for the site, combining our styles and creating a blog that's absolutely lovely. It's fresh and unique, yet the design ties in beautifully with my existing brand. She was extremely patient with me as I asked lots of questions and requested various design tweaks. I couldn't have been more pleased with her skill, her hard work, and her dedication to the project. Plus, her sweet personality shines in her communications. Basically, I'm thrilled with her design services and excited to share the results! Back to the site... 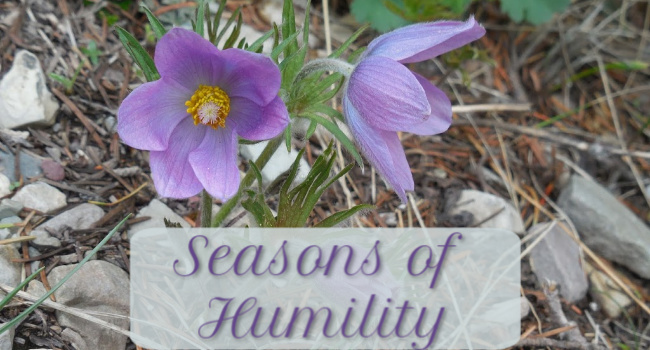 I'd love for you to browse all the pages and check out what's going on with Seasons of a Story! You can read up on what it's all about, check out my available books, see what's coming up next, join my street team (Amber's Gems FTW! ;)), and sign up for my next cover reveal. There's also a poll in the sidebar, if you want to weigh in regarding cover reveals! To celebrate this grand unveiling, I'm hosting a fun little giveaway of sorts over at my author blog. Hope to see you there! It's both exhilarating and a tad bit frightening to think of starting out at a new place. Despite the fact that I already love the company and their location (so gorgeous! ), it's nerve-racking to realize I'll be "the newbie" in my department. But I've found comfort in the common knowledge that everyone has to start at the beginning. 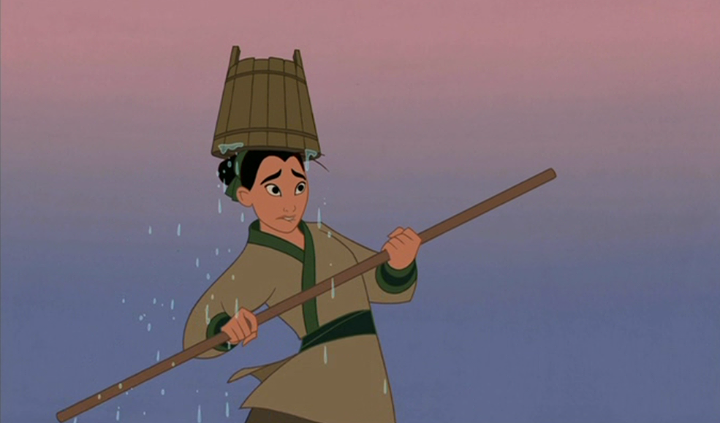 Mulan didn't join up one day and then immediately save China. She made some mistakes. It took her time to build friendships. She went through a lot of pain and grief in order to develop the strength she needed to do her job well. Now, I believe my experiences have truly helped to prepared me for this career. And I've already had the opportunity to meet some of my coworkers, and they all seem so nice and fun! Even still, I know it's going to take time and hard work to learn all the ins and outs of my new position, and to reach beyond my introversion to connect with others and find a community. So I'll get up and go to work tomorrow with the reminder that, even when you're planted where you belong, you still have to grow. You still have to lift your face to the sun, take care of yourself, work well with the garden around you, and give yourself time to bloom. I'll also go with the reminder that the One who does the planting, the growing, and the harvesting - the Son who gives me what I need to blossom - is with me. And only through Him can I take my employer's motto to heart: "Grow True."